Beam was at the rodeo with his wife and a student they were hosting from Taiwan. He said they were having a good time until the end of the rodeo. "It was the usual until the very end at bull riding," he said. 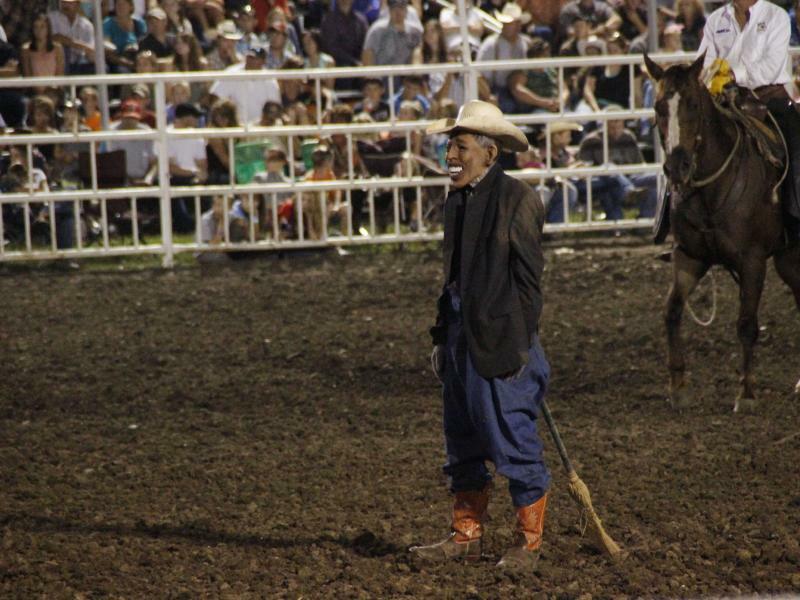 "As they were bringing the bulls into the chute and prepping them ... they bring out what looks like a dummy. The announcer says 'Here's our Obama dummy, or our dummy of Obama. "They mentioned the president's name, I don't know, 100 times. It was sickening," Beam said. "It was feeling like some kind of Klan rally you'd see on TV." Beam, who grew up attending the State Fair and attends the fair just about every year, said he has never seen anything like the Obama mask display, which he felt was inappropriate for a state-sanctioned event that receives state funding. "If an old country boy picks up on something like that, imagine what a person of color would think."